“Moribund Obesity”: Palliative care diagnosis or poorly chosen label? I’ve always had a fascination with how certain phrases influence practice and how established terms frame and reinforce provider attitudes toward the individuals they care for. I recently began exploring the experience of nursing home life among obese residents, and in a literature search came across Deepak Gupta’s letter the editor “Moribund Obesity as a Palliative Care Diagnosis.” Now, add to my list of questionable palliative care related diagnoses (presently including: psychogenic mortality, failure to thrive, organic brain disease, et al.) 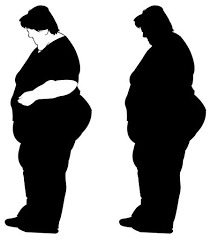 the newly coined “moribund obesity.” At the risk of oversimplifying, a morbidly obese individual achieves moribund status when usual interventions to reduce or control obesity fail as a result of some insurmountable barrier or collection of barriers—physical, psychological, social or spiritual. Most distressing in the article, suggested spiritual barriers include “inadequate self-control and the spiritual pain that comes from feeling worthless or abandoned by God.” I don’t know why, but I bristled when I read this. Perhaps it’s my reading a “blame the victim” subtext into this, or perhaps it’s that this seems to downplay the complexity of overeating, and emerging science suggesting neuro-physiological processes that may parallel addiction. The adjective “moribund” runs the risk of becoming a “line in the sand”, defining when palliative care becomes appropriate. In the most extreme scenario the “moribund obese” label becomes the green-light for palliative intervention and discontinuation of other therapies. In addition, we risk overlooking the need for palliative intervention periodically or continuously across the course of a refractory chronic condition. In the case of obesity, this may be long before the morbidly obese individual satisfies criteria to earn the “moribund obese” label. I am confused as to Dr. Gupta's reasoning in coining this new term, "moribund obesity." Obesity is a risk factor for many other problems and conditions, and therefore cannot in itself be a palliative care diagnosis. Even the author's own example of pulmonary embolism being directly due to obesity is false. Obesity increases the *risk* of PE, just like it increases the risk of OSA, or diabetes. The author's own anecdote, of an obese man with chronic recurring cellulitis could just as easily be about an average-sized man with the same medical problems with chronic cellulitis. I think the article misses the point. How can obesity be a palliative care diagnosis when it is not even a diagnosis that causes any problems in and of itself? It's like calling "old age" a palliative care diagnosis. Ok, so perhaps both apply to some obese patients. The major issue I have with this term is the emphasis on lack of curative options as a criteria for palliative care. This is the model of palliative care, tied to hospice and it's requirements of a limited prognosis. The other issue I have is with the term "palliative care diagnosis." What is that? Is pancreatic cancer a palliative care diagnosis? Certainly, it is an illness where palliative concerns predominate, but I'm not sure what the author meant by palliative care diagnosis. I think he is trying to define "palliative diagnoses" as conditions for which curative treatment options are no longer available...again raising my concern addressed above. Palliative care can and in many cases should be delivered in conjunction with life-prolonging care, not defined in opposition to it. Alex, your points are right on!